Allotrac sends automatic alerts to any & all relevant personnel, with the simple push of a button. Pre-start checklist breaches are instantly notified to Management and Service personnel, Advise to customers the delivery is ‘on-route’ & all POD information forwarded to accounts dept for instant reconciliation and invoicing - all paperless. Integration with current accounting systems allows the use of existing software, without the need for expensive change and additional staff training. No more missing consignment notes, no more missing paperwork, ever. Manage all Drivers, including Sub-contractors, ensuring appropriate licences, inductions, insurances and registrations (to name a few) are current at all times. Warnings of pending expiry are sent to all relevant personnel, allowing early detection and eliminating ‘non-documented’ drivers from using the system. Allocators and Schedulers have full visibility of their fleet at all times, monitoring driving behaviour and ensuring customer satisfaction is front of mind. 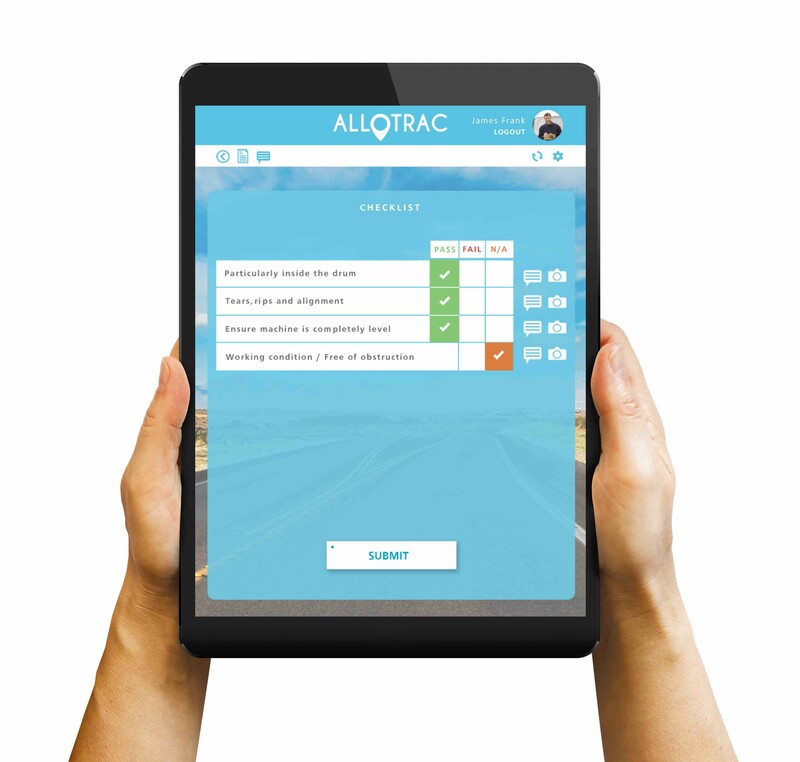 Allotrac TMS allows jobs to changed ‘on-the-fly’ with minimum disruption, alerting the drivers of schedule changes with acknowledgement of all read messages returned in real-time. This ensures both truck and driver are used in the most efficient and effective way, reducing overtime or simply allowing for more deliveries to be complete.